OK OK I know it doesn't have a spot on the switch for AM but this is where I come for HB advice! I just bought a KWM2 sans PS. The prices for a 516F-2 Collins PS's are rather silly. I like the idea of building one anyway. I would prefer to build using modern SS components, silicon bridges etc. I am not experienced with building unregulated power supplies and would appreciate and recommendations/advice. I know there is info out there on selecting transformer voltages etc so I will start that research. When a spec is given like 800V at 230mA, and the PS is unregulated, can I assume that the voltage will be higher at a lower current? The Heathkit HP-23 series power supplies are a good match for the 32S series transmitters but they are rated a little light on the low B+ voltage to use with a KWM-2. Still, one would make a good starting point for building a supply for your KWM-2 since it would take care of the HV, bias, and filament needs as designed. You could then use a separate transformer and choke for the B+ needs and this will probably be cheaper than trying to build the entire supply from scratch. Find a Tempo One/ FT200 power supply, you will get a speaker along with it and it will almost match the KWM-2 size and color. It has normally 600VDC but a tap will boost it to 800VDC. You might have to change the diodes and cap on this section. Also 300VDC, 150VDC and -100VDC. The 12.6VAC is provided by two 6.3 VAC windings at 6A each winding that could be paralleled. Not an exact match but you could add some pots or resistors to make it work. Just one more idea for you. Find a National NCX-A power supply/speaker. This was used for the NCX-3, NCX-5, NCX-200. Find the power supply/speaker that was used with a number of the Swan sweep tube transceivers. 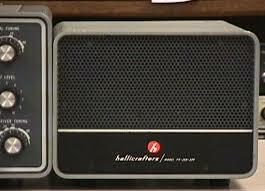 A Hallicrafters PS-150 or PS-500 power supply/speaker probably would also work. Thanks all, those are all good suggestions. I think a drake twins supply will work also, I got one off ebay dirt cheap, I had no use for it but it was so cheap I had to get it. It was a homebrew copy of the drake, but super nice, maybe better than the original drake one! It would be fun to build one though, the older Bill Orr handbooks are great for power supply design, a choke input with a good bleeder will be fairly well regulated. A lot of the power supplies designed for "sweep tube" rigs are going to have a lower plate voltage than what the KWM-2 wants; most of the supplies designed for the sweeper rigs are going to be around 600-675 volts under load. You could also keep your eyes out for a parts rig that uses 6146 finals to provide some of the building blocks for you (transformers and chokes). So a parts Apache, DX-100, Valiant, Viking, or similar would fill the bill. After pursuing Ebay for suitable power supplies for the KWM2 I am still entertaining the idea of a HB powers supply. Primary with three taps. two taps on the secondary with CT. Here are the voltages (no load Vrms), I measured only one half of the secondary so as to not cook the Fluke meter. How about using the 900V with a full wave (two diodes, CT grounded)? Should I duplicate the 516F-2 output with a 8H choke and caps?